If you've always wanted to try biking in the woods, then this is the event for you! 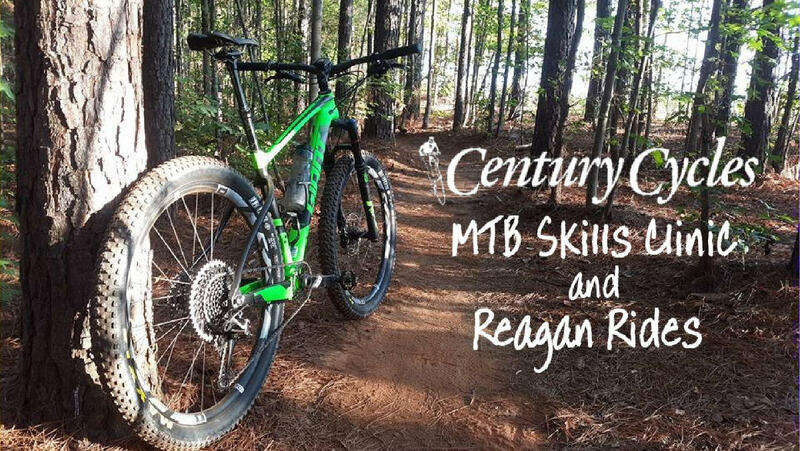 Century Cycles in Medina will be hosting its first annual Mountain Bike Skill Clinics and Reagan Rides starting Saturday, May 26, 2018 and running through Saturday, October 13, 2018! Experience three levels of mountain biking instruction, taught by USA Cycling certified Level 2 coach Tom Wiseman that will cover everything from basic skills up through advanced techniques! A group ride on the trails follows each clinic! On the group ride and product demo days, representatives from Giant, Pearl Izumi, and Shimano will be there to talk about the latest and greatest off-road cycling products! Northeast Ohio's Liv Cycling Ambassador Deltrece Daniels will be on hand to ride the trails and connect with female riders! Riders who attend any of the three Clinics will receive a certificate good for 10% off clothing and accessories in our stores! 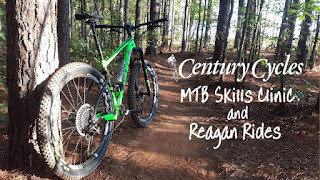 Rider who attend all three Clinics will receive an MTB Skills Diploma plus a certificate good for 20% off any one clothing or accessory item in our stores! Check the Century Cycles - Medina Facebook page for details and updates on each event, and to RSVP!